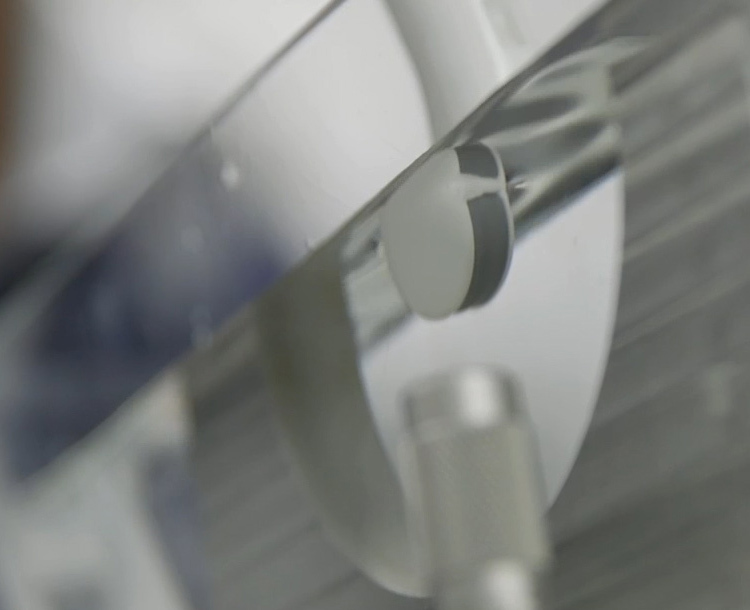 tool for urologists to perform targeted biopsies within a standard urological workflow. 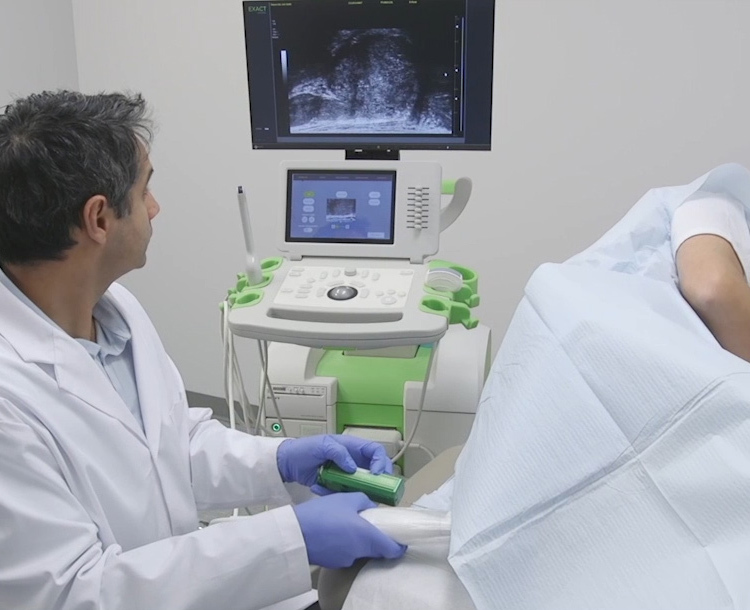 The ExactVu micro-ultrasound platform provides the most practical solution as a new tool for urologists to perform targeted biopsies within a standard urological workflow. 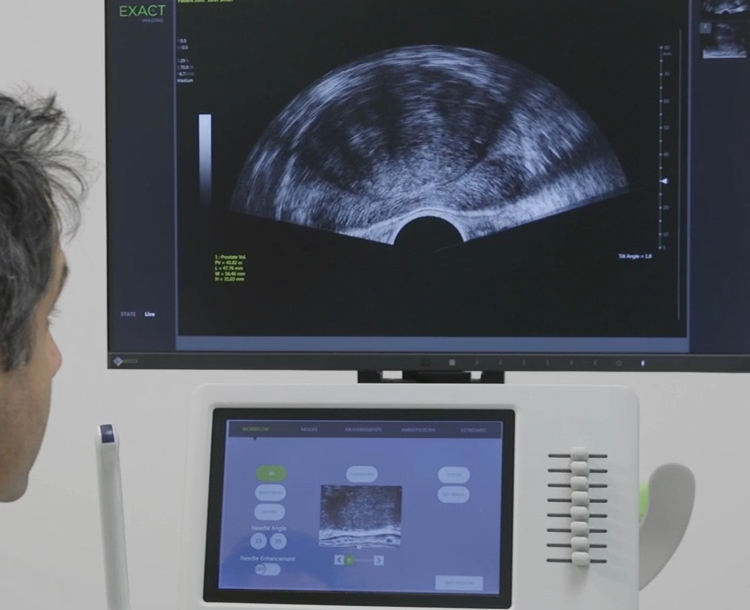 The ExactVu system is a complete urological platform as it is the world’s first system supporting both high-resolution and conventional transducers. The 29 MHz transducer is for targeted and systematic biopsy procedures and conventional resolution transducers are for abdominal, testicular and large prostate imaging procedures. 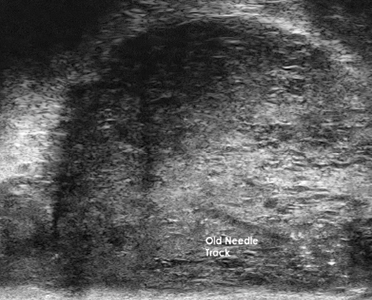 Visualization of Old and New Biopsy Needle Track. 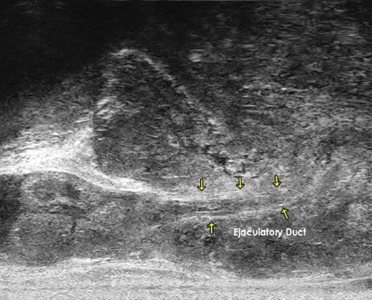 Fluid flowing through Ejaculatory Duct. 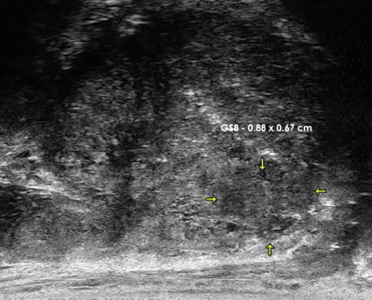 Detection and targeting of small Gleason 8 Lesion. ExactVu™, Exact Imaging™, PRI-MUS™, FusionVu™, Cognitive Assist™ and ExactVu Micro Doppler™ are trademarks of Exact Imaging.